In the world of The Stolen Child, the magical is mundane and the mundane magical. Keith Donohue's first novel is a triumph of narrative, whose characters seek to understand themselves and their place in the world. 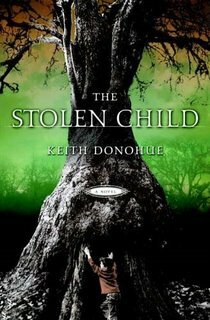 Both narrators are once and future faerie children—hobgoblins or changelings—stolen from their families, their place in human society assumed by another while they are left join the tribe of lost children, suspended in time until they can steal another child and make the change to become human again. Henry Day is stolen and baptized into the world of the faeries as Aniday, his former life hidden from him by the older hobgoblins, who even refuse to tell him his true name. After a century of living as a wild child in the wilderness, the changeling who takes his place is haunted by his secret, fearing that his true identity will, at any moment, be discovered. An unknown talent for the piano begins to manifest itself in the new Henry Day while Aniday feeds his need to read and write. Both are haunted by a past they cannot remember and a future they cannot see. Donohues' lyrical story telling brings to life the dark world of fairy tales, a world which is slowly being consumed by encroaching suburbs, growing technology, and modern consciousness. This haunting and poignant fable plumbs the depth of friendship and family, love and loss. The Stolen Child challenges us to embrace the future and forget the past, to finally learn what it means to belong.